Hey y’all thanks for stopping by to see my Dying to Read post and of course as always I have to give credit to the lovely Jill over at Breaking the Spine for the Waiting on Wednesday Meme! Most of you know by now I am a huge fantasy fan! Also I am a huge fan of Fairy Tale retellings/re-imaginings so when I heard about this one I had to add it to mt TBR! 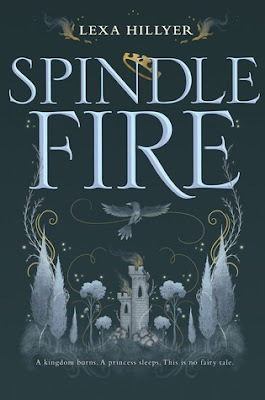 Perfect for fans of Sarah J. Maas and Leigh Bardugo, Spindle Fire is an enthralling, wholly original re-imagining of a classic faerie story. Half-sisters Isabelle and Aurora are polar opposites: Isabelle is the king’s headstrong illegitimate daughter, whose sight was tithed by faeries; Aurora, beautiful and sheltered, was tithed her sense of touch and voice on the same day. Despite their differences, the sisters have always been extremely close. And then everything changes, with a single drop of Aurora’s blood, a Faerie Queen who is preparing for war, a strange and enchanting dream realm—and a sleep so deep it cannot be broken. 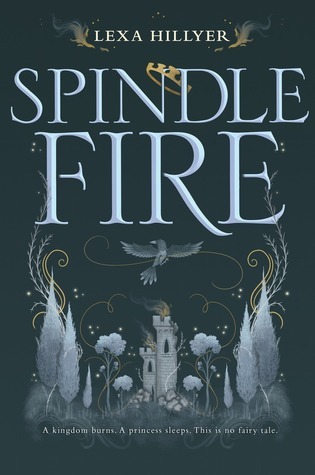 Spindle Fire is a tour de force fantasy set in the dwindling, deliciously corrupt world of the fae, and featuring two truly unforgettable heroines. So what do you think? Will you be adding this to your pile? What are you dying to read this week? I'm on the fence about this one... Sleeping Beauty is one of my favorite fairy tales so I hope they do it justice. I might have wait and see what reviews say about it. I hope it's a good one though!! Retellings tend to be a bit of a hit or miss with me. But this one sounds really good. Fantastic pick. Shubba @ Wee Shubba's World. Great cover and it sounds like a really good book. Enjoy! I love the cover and description sounds great too! Nice choice! Just added this to my TBR list. Thanks for posting about this exciting book. That cover looks awesome! Here’s my WoW! This book has been on my TBR...I think mostly for the cover. I LOVE THAT COVER. It's beautiful. And I love all things fairy tale. I didn't realize until now though that it's a Sleeping Beauty retelling. I don't know how I missed that, but your post has made me even more excited for it! Definitely an interesting sounding book! Hope you get to read it soon! Here's my WoW if you'd like to stop by my blog.